The Mohawk Councils of Kahnawà:ke, Tyendinaga and Akwesasne have issued a joint statement rejecting the planned shipment of nuclear waste through the Great Lakes and St. Lawrence Seaway system. On Feb. 4, the Canadian Nuclear Safety Commission (CNSC), gave Bruce Power one full year to get 16 containers filled with radioactive waste to Sweden, where the waste can be recycled. 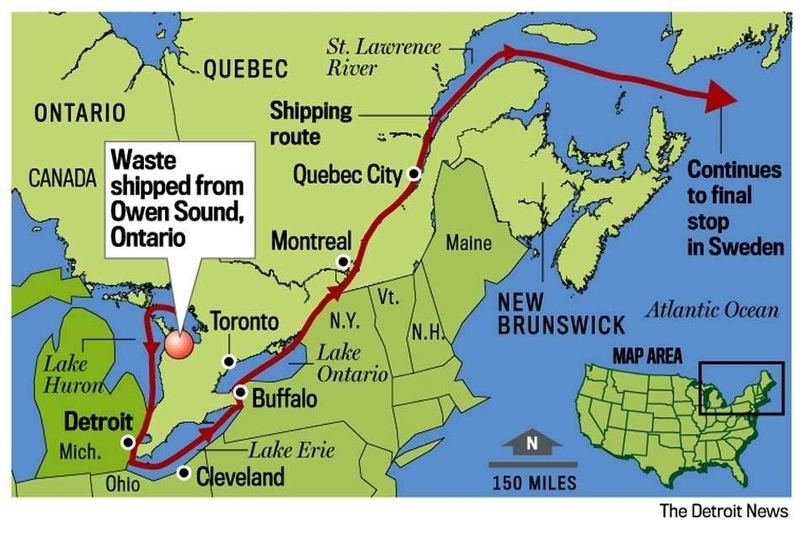 However, before the containers can get there, Bruce Power would take them on a risky tour “from Lake Huron, down the St. Clair River through to Lake Erie, Lake Ontario and then on through the St. Lawrence Seaway to the Atlantic Ocean,” notes APTN. Though Sweden itself turns out to be far from neutral when it comes to Canada’s nuclear industry, the Mohawks’ concerns hit much closer to home. The Mohawk people have been living in the area of the St. Lawrence for at least 9,000 years – and they’re still there today. 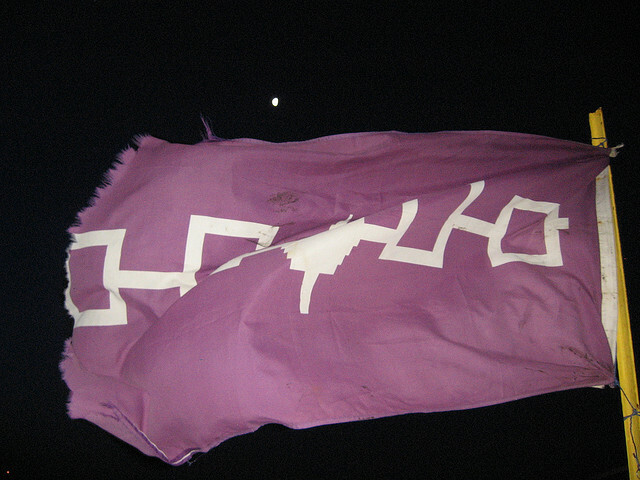 In addition to the three Mohawk communities, the Anishinabek Nation, which represents 39 communities across Ontario, has issued its own statement against the planned shipment; because, they say, it violates Canada’s “rule of law”. Thankfully, the Anishinabek and the Mohawks won’t have to face this alone. Their concerns are shared by numerous environmental groups, U.S. Republican Rep. Candice Miller and The Great Lakes and St. Lawrence Cities initiative, which represents 73 cities on both sides of the US/Canada border. – According to Wikipedia, “Bruce Power Limited Partnership is a Canadian business partnership composed of several corporations. It exists as a partnership between Cameco Corporation (31.6%), TransCanada Corporation (31.6%), BPC Generation Infrastructure Trust (31.6%), the Power Workers Union (4%) and The Society of Energy Professionals (1.2%). – In the four-part series “The Origin of Nuclear Power”, author Frederick Loberg explains that the Oskarshamn nuclear power plant in Sweden has been getting its uranium from the Rabbit Lake mine since the 1970s. Located on Dene Territory in northern Saskatchewan, the mine is wholly owned by Cameco. The Dene were staunchly opposed the project; but their rights and concerns–like those of the Mohawks–were ignored.